Upload photos and videos to Flickr from your PC. 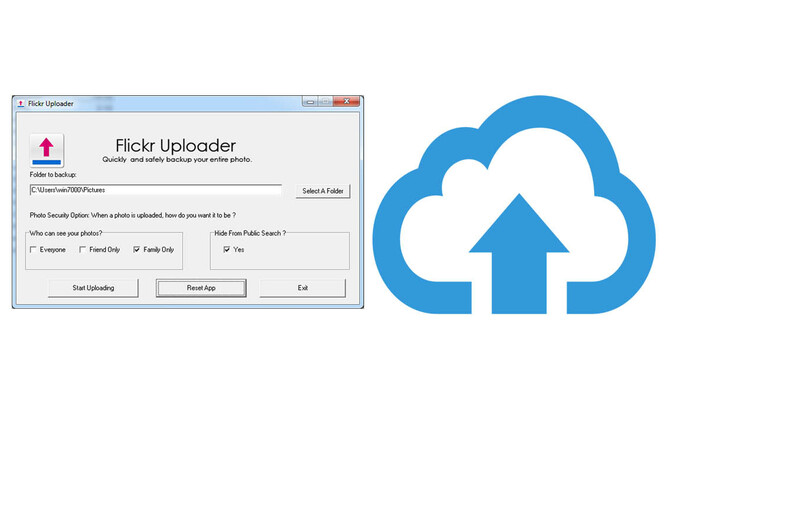 Upload multiple files with one click. The desktop Flickr Auto-Uploader tool is now reserved only for Pro users. That means there’s no easy way to upload big batches of photos all at once, into the same place, unless you’re a Pro member. A new version (1.1) has been released to fix the new Flickr Authentication. Works great. I've been using this app on and off for a couple of years. The program automatically use folder name as the album name and filename as the photo title. Very stable and reliable. Other apps I've tried seem to be more flash and glamour, rather than functionality. This is the best Flickr uploading app I've been able to find and want to use.